Amputation repairs with a V-Y advancement flap. 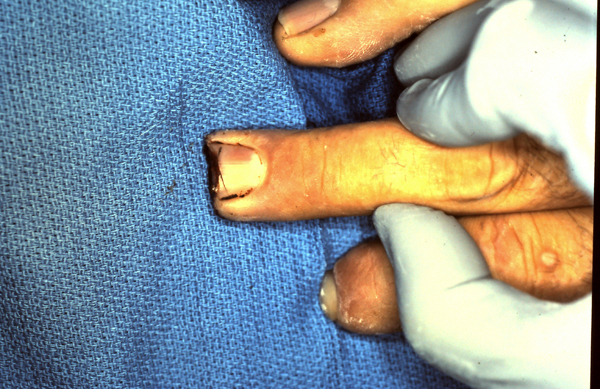 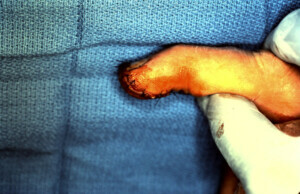 V-Y advancement flaps are quite useful to close defects of finger amputations when there is bone exposure. 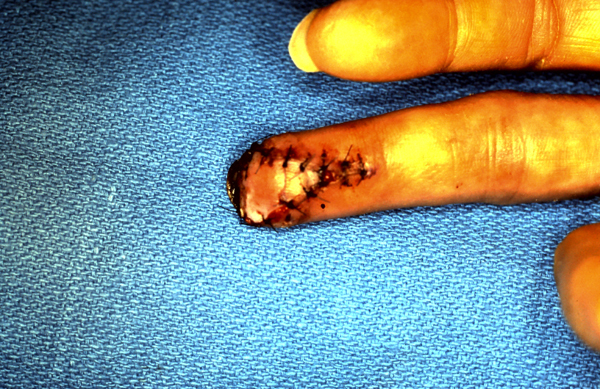 Wounds that are best suited for this particular procedure are ones that are dorsal oblique (greater soft tissue loss dorsally) or transverse. 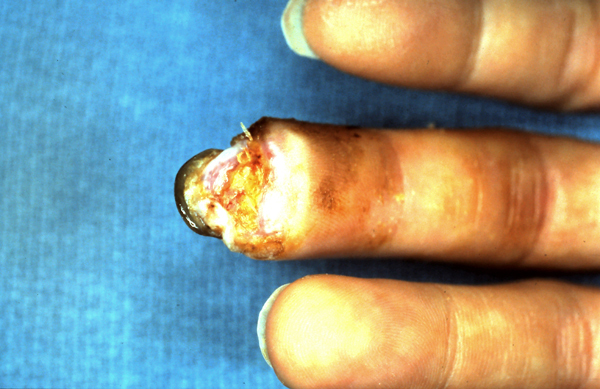 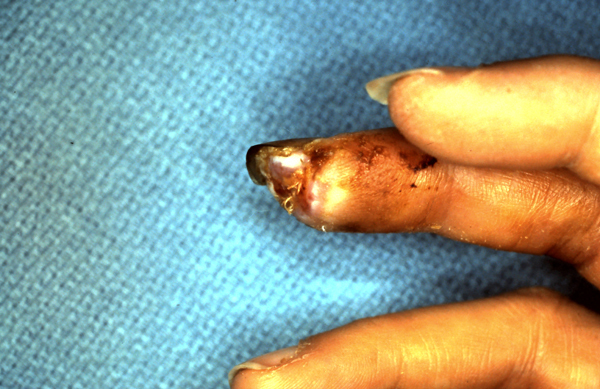 Transverse amputation of left ring finger with bone exposure. 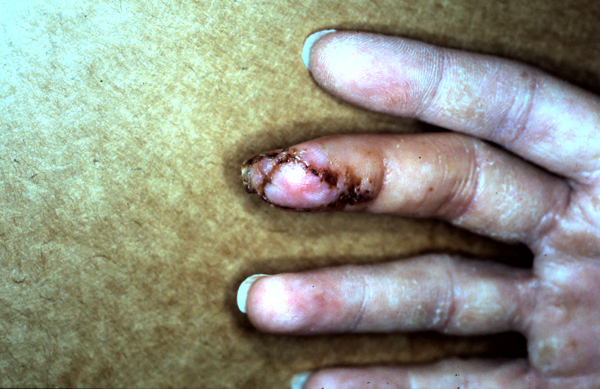 Dorsal view of ring finger amputation. 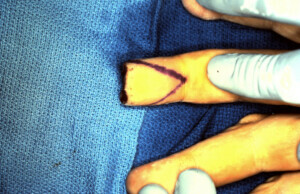 V-Y advancement flap drawn out on volar surface of ring finger. Volar view of V-Y advancement flap already inset into ring finger defect. 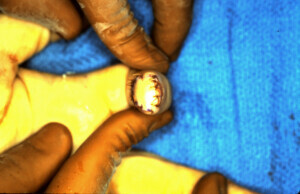 The boxy appearance seen intra-operatively will soften, smooth out and re-contour with time and gentle massage. Lateral view of V-Y advancement flap inset into defect of ring finger. 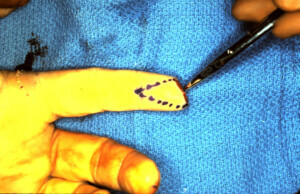 Lateral view index finger with V-Y advancement flap marked out. Volar view of V-Y advancement flap marked out on amputated index finger. 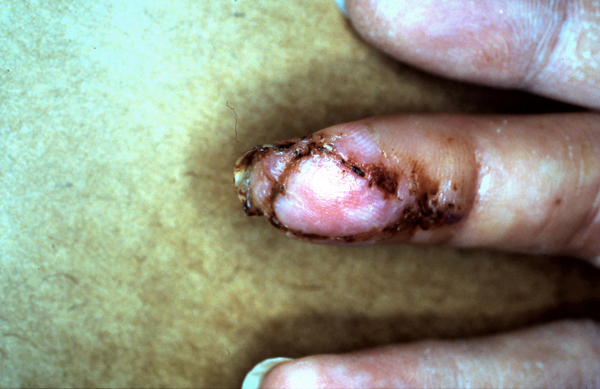 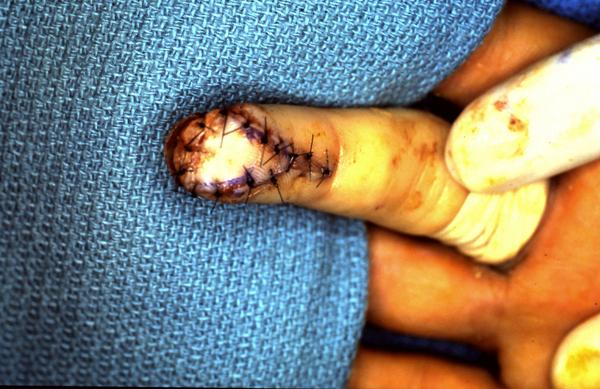 Lateral view of index finger amputation closed with V-Y advancement flap. 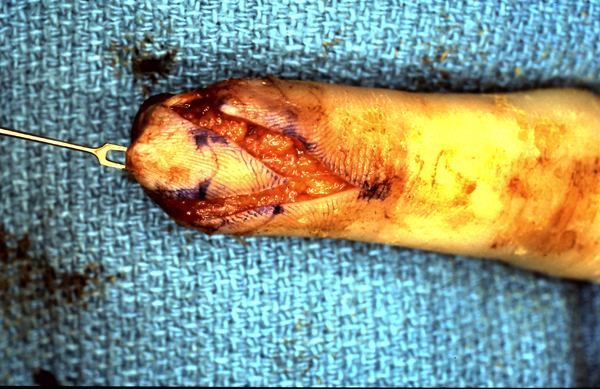 End on view of closed index finger amputation with V-Y advancement flap. Non healing complex open wound of middle finger. 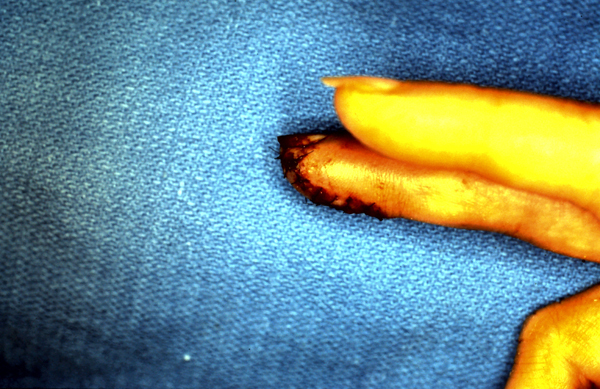 Volar view of defect after debridement. V-Y flap incised, dissected and advanced. Ready to be insett. 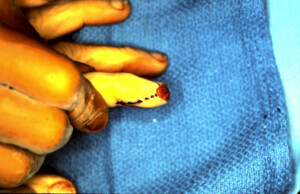 Flap insett in a V to Y fashion with digital tourniquet still in place. Tourniquet released demonstrating good blood supply to flap. Lateral view with normal contour restored. 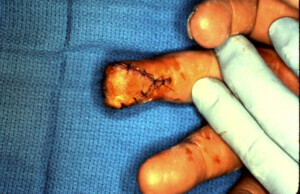 Early post operative view of viable flap. 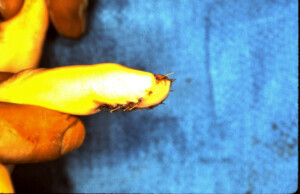 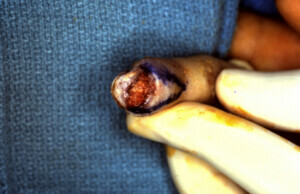 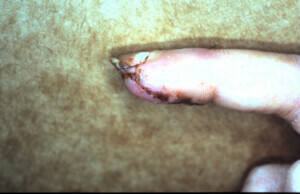 Post-operative lateral view of restored contour of middle finger.